Students at Torbay School (primary) wanted to launch 'Santa to the Space' in November 2013. They worked with KiwiSpace and QuestForStars (USA) to source a payload, which incorporated 2 cameras, APRS (Ham Radio), a Satellite-connected GPS unit, and a Video transmitter - so you could watch the flight live from the ground. They unfortunately have been declined clearance from Airways corporation at the present time, and are still working through how to get this – or may consider flying in the South Island, or if necessary overseas. As the students' main balloon launch has been delayed due to regulatory hassles, for a bit of fun - they launched just a small balloon with no payload from the school grounds. 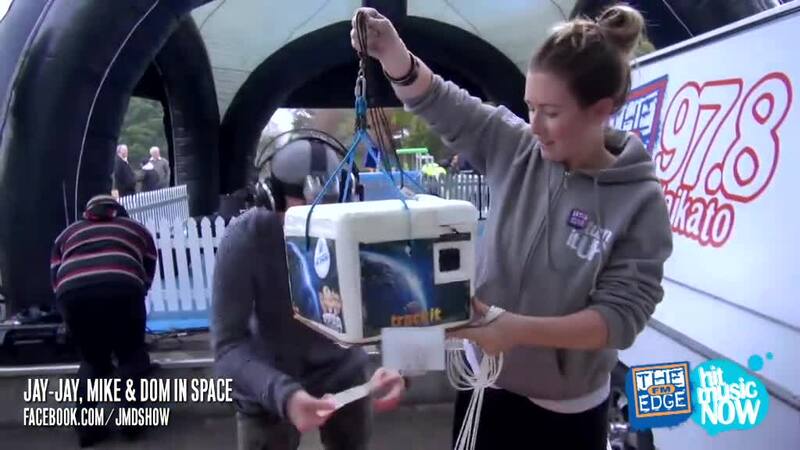 The Edge radio station did a campaign "Send your Selfie to Space" – and launched a balloon from Waikato University in Hamilton.